If you are thinking of moving to Eagle Mountain, and want the absolutely fastest possible internet speeds, (up to 1 Gig per second speeds are now available on fiber) check before you move to make sure the home is already connected with Fiber to the Home by Direct Communications. Yellow is Fiber to the home. Blue is still copper to the home. You can also call Direct Communications at 801 789 2800 and ask if the address is served by fiber. City Center area – yellow=fiber. This area is all upgraded to fiber to the home. This 6-year project was completed in Spring 2015. Over the past few years, Directcom has been able to upgrade about 300 older homes per year to fiber, while at the same time keeping up with fiber construction to all new subdivisions. 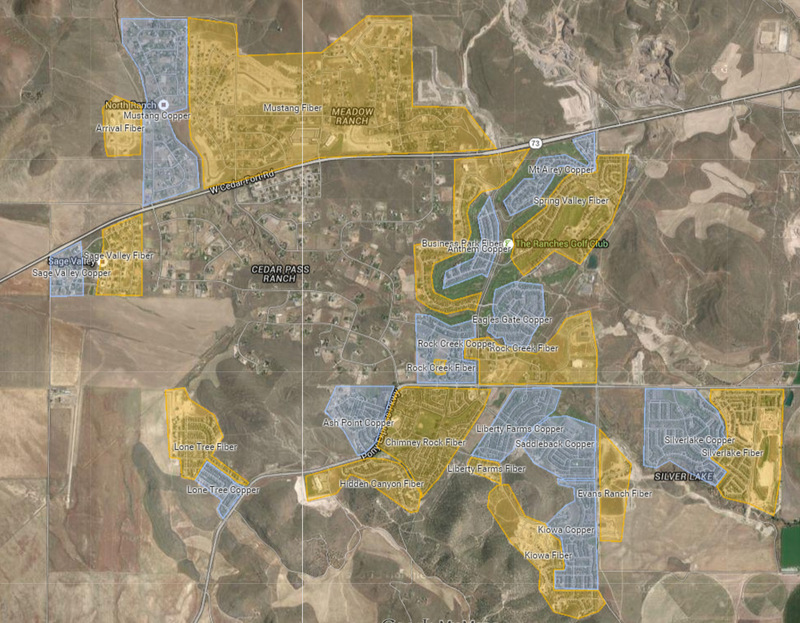 Since 2006, we have invested about $24 million into network assets here in Eagle Mountain. Good news for the 2015 year is we have secured outside financing, with the aim to bring in external construction contractors, to try to speed up the process of upgrading all the old copper neighborhoods in the Ranches to all new fiber. In April 2015, we began upgrading the neighborhoods around Nolan Park, which we refer to as the Chimney Rock area in our network map. 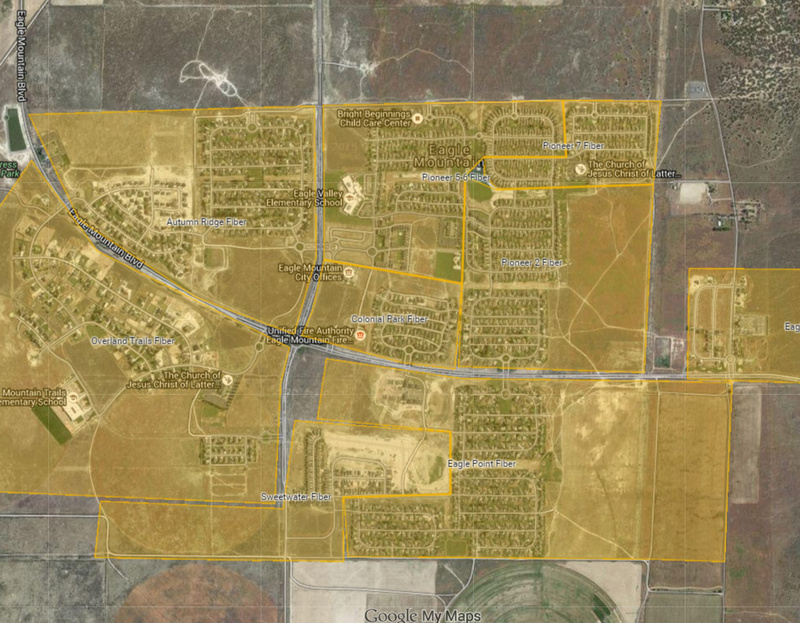 The next old copper area to be upgraded in Fall 2015 was the older Silverlake subdivisions. These subdivisions were chosen specifically because the original copper lines put in by the property developers were in dire need of upgrade or replacement, but we will use various criteria when selecting which subdivisions to upgrade next, depending on the whole network needs and best long-term engineering solutions.